The Green Line Extension (GLX)’s updated cost estimate was recently approved by the federal government. Massachusetts Department of Transportation (MassDOT) spokesperson Lisa Battiston expressed enthusiasm for the future of the project, which will bring the Green Line into Somerville and Medford, including a stop adjacent to the Tufts campus on College Ave.
“The Administration, MassDOT and MBTA appreciate the Federal Transit Administration’s analysis and recognition of the work that was put into the GLX project’s new design, timeline, cost estimates and risk review,” Battiston told the Daily in an email. Rafael Mares, vice president and director of healthy communities and environmental justice at the Conservation Law Foundation, explained that the federal government’s grant covers nearly half of the project’s costs. Mares said that the MBTA reexamined and updated the logistics of the project after discovering that some of the previous cost estimates were flawed, which led to the need for another federal approval of the cost estimates. According to Mares, once the project begins to actually receive this funding from the federal government, the extension’s construction process can proceed with more certainty. Mares added that after the amended grant agreement goes through, project leaders will select the design builder and the contractor who will be in charge of completing the extension’s design and construction. In terms of the possibility of future cost increases for the project, Mares said that any unforeseen expenses would only affect the state portion of the funding. Nonetheless, Somerville Board of Aldermen President William White noted that further steps need to be taken to ensure that the project goes forward smoothly. “Because the state cut back in the design and scope of the Green Line Extension to save money after it received the approval of the project from the federal government, the state has had to go back to the federal government for a number of approvals in order to continue to receive federal funding of half of the project,” White told the Daily in an email. White explained that Massachusetts has chosen three contractors to propose plans for the design and construction of the project, and the winning contract will be adopted for the project from among these proposals. “Now, with the federal approval, the bid documents are set to go out in May to those three bidders with the responses due in November,” White said. According to White, the project should proceed as planned, but it will not be completely clear until November whether the Green Line Extension will move forward on schedule. “In order for the project to go forward, the winning contractor must submit a bid less than $1.3 billion, which is the limit set by the state in order to meet the money that the state has budgeted for the project,” White told the Daily in an email. Mares emphasized that the Green Line Extension will play a key role in the area’s transit network. Mares highlighted the contribution that the extension will make to reducing air pollution and promoting more environmentally friendly methods of transportation. According to Mares, the section of the extension that will most affect Tufts is undergoing a distinct approval process from the rest of the project. Mares explained that the state will be funding this part of the Green Line Extension separately from the rest of the project. It therefore will go through its own environmental review and will receive its own cost estimate. 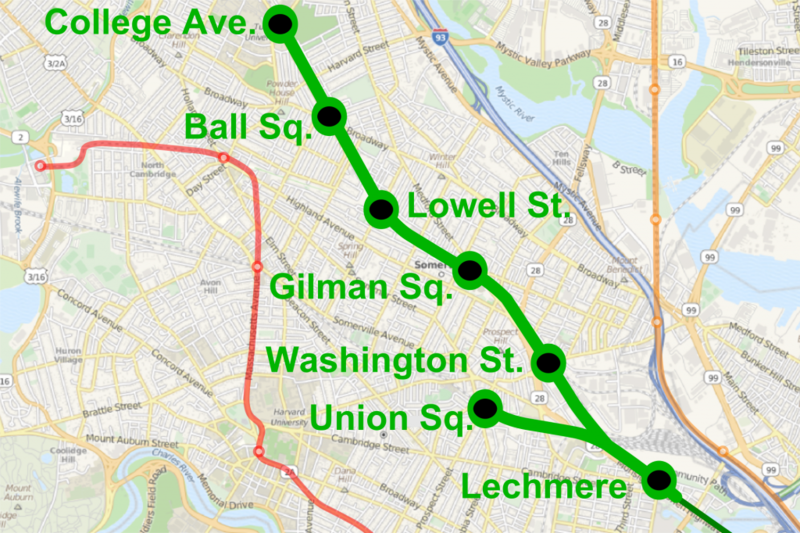 “Tufts University has always been supportive of the whole Green Line Extension,” Mares said.